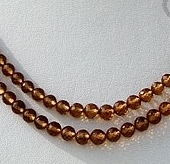 Ratna Sagar Jewels offers you AAA grade Brown Zircon faceted round beads. 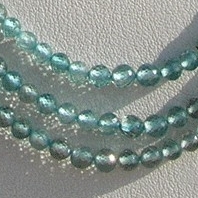 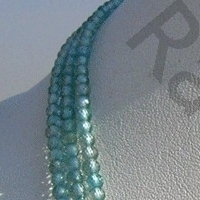 It is perfectly round in shape and wonderfully faceted. 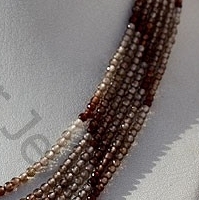 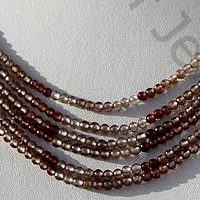 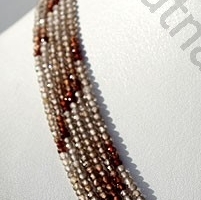 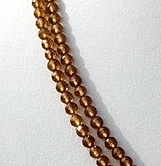 These beads are extremely glossy due to the highly reflective properties of Brown Zircon Gemstone. 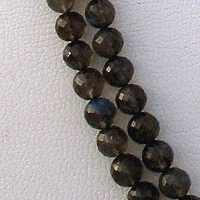 It gives an illusion of diamond. 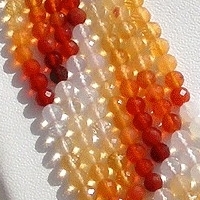 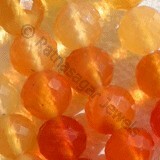 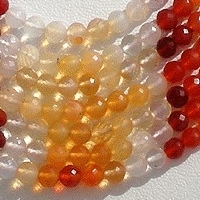 Ratna Sagar Jewels is the right place if you are planning to buy faceted round beads for your next jewellery project. 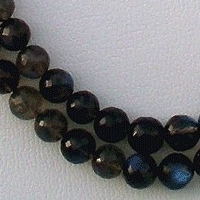 Our artisan use state-of-the-art cutting, drilling, and polishing machine to form the flawless round shaped gemstone beads. 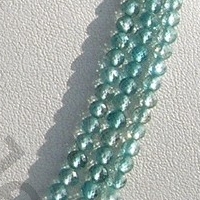 Further, we will happily customize it to meet your needs. 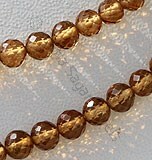 Go ahead and order today brown zircon faceted beads from the most trustworthy online store Ratna Sagar Jewels. 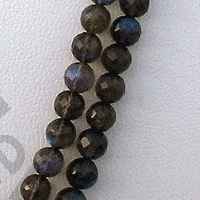 Hurry, we offer it to you at unimaginable wholesale price. 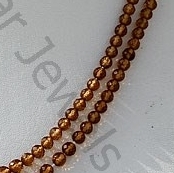 Zircon a valuable natural Gemstone, possess property of transparent with adamantine luster and are available in sea-blue color with micro cut, Round shape. 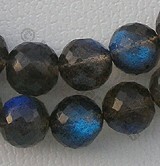 Labradorite gemstone is the most beautiful iridescent play of colours, possess property of semi-transparent with vitreous to pearly luster and are available in black color with peacock blue flashes in micro cut, Round shape. 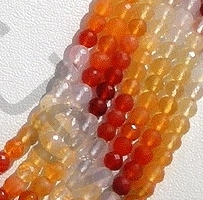 Natural Fire Opal Gemstone is most colourful of gems, possess property of transparent with vitreous luster and are available in white-orange-red color with micro cut, Round Shape.